Aga Winska, born in Warsaw (Poland), graduated with Distinction from the Frederic Chopin Music Academy in her native city. While still a student, she made her debut in the role of the Queen of the Night in Mozart's Magic Flute at the Warsaw Chamber Opera. As Poland's top arts student in higher education, she received the prize and scholarship awarded by the Polish Minister of Arts and Culture in 1986. In 1988, she won the First Prize, the Oratorio Prize and the Alex de Vries special prize (for prominent musical talent) at the Queen Elizabeth International Singing Competition in Brussels, and in 1999 the first prize for operetta at the Gascogne International Singing Competition in France. Aga Winska has worked with many famous conductors, is regularly invited to the leading European music festivals, has featured in numerous broadcasts and recordings for radio and television in many countries, and has made CD and film recordings. 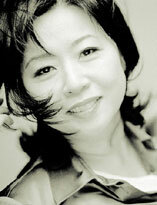 Aga is endowed with the beautiful and rare type soprano voice known as "dramatic coloratura". Recently, she has been singing lyric parts more often. Her vast, extensive repertoire covers all epochs, styles and forms of music. 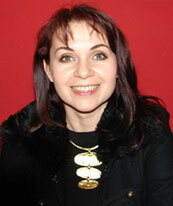 During the 2003-2004 season, Aga Winska has mostly been present on the Belgian music scene. She gave, among others, a cycle of recitals with a Slavic romantic repertoire, especially prepared for the occasion of the EU's expansion to the East. In November 2005, Aga Winska made her stage direction debut in the Brussels Light Opera Company production of Franz Léhar's Merry Widow. 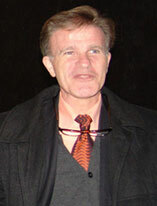 Angelo Zanin was born in Mogliano Veneto (Treviso). He studied cello at the B. Marcello Music Conservatory of Venice, with Aldo Pais and Adriano Vendramelli, getting a master degree in 1982 with the maximum of the votes. He also studied with Paul Szabo, cellist of the famous Vegh Quartett, and was also a pupil of Pablo Casals. He was First Cellist of the orchestra "Little Simphonya", conducted by Sirio Piovesan, with whom he played as soloist on important festivals in Italy, France and Germany, and played in the orchestra "Villa Lobos", a group of only cellos, coordinated by Mario Brunello. From the age of 25, he played in the Quartett of Venice with whom he has recorded complete works of Malipiero, Bazzini, Saint-Saëns, Hartmann, Beethoven, Boccherini, Verdi, Respighi, Martucci, etc. He had among his teachers two of the most important figures of the European history of the Quartett of this century: Sandor Vegh (founding violinist of the Vegh Quartett and director of the Camerata of Salisburgo), and Piero Farulli, alto in the Italian Quartett. At the quartett, he taught courses at the Fiesole Music School and at the Siena Chigiana Academy. Zanin collaborated with big musicians such as Bruno Giuranna, Oscar Ghiglia, Pietro De Maria, Lukas Foss, Michele Campanella and the Borodin Quartett. He also played in front of John Paul II and the President of Italy, that conferred him a prize for the 20th anniversary of the activity. 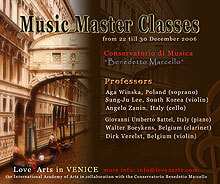 Angelo Zanin taught in Italy, the USA and Austria, and is cello teacher at the Conservatory of Music of Venice. Angelo Zanin plays a G. B. Martinenghi, Venezia, 1931. Giovanni Umberto Battel began his piano studies when he was four years old, under the guidance of his father Camillo, and graduated with full marks and honors and honorable mention at the G. Tartini Conservatory of Trieste, under the direction of Luciano Gante. Under piano player Lya De Barberiis he obtained, with full marks and honors, the post-graduate diploma at the Accademia di Santa Cecilia in Roma. In the meantime, having an education in classical studies, Battel obtained a degree in musicology, with full marks and honors, at Bologna University, and published articles on new methodologies of performing analysis. Between 1974 and 1979, Battel won six important Italian piano competitions. Between 1978 and 1982, he won prizes in seven international piano competitions, proving his value in different places and times. After his debut as a soloist in 1976 at Venice's theatre "La Fenice" and his first orchestra performance in 1980 at the Sanremo theatre, he has given many concerts in Italy. Since 1986, Battel has also performed in many countries around the world. He played with chamber and symphony orchestras conducted by De Bernart, Gavazzeni, Steinberg, Scimone and many others. He recorded for Italian radio and television, and has made several CD recordings of, among others, Busoni's Piano Concerto Op. 39a (Bongiovanni ed). When he was twenty, Battel obtained the Piano Chair at the B. Marcello Conservatory of Venice, and has been Director of the same Conservatory from the academical year 1997/98. He has taught master classes in Italy, France, Spain, Serbia, Turkey and Japan, and has been a member of the commission of piano competitions and music consultant for concert seasons. Walter Boeykens' career took him from being a member of the Philharmonic Orchestra of the Belgian Radio and Television (until 1984) to a leading clarinet soloist, performing at major music festivals, as a soloist and in various chamber music combinations. He played under Pierre Boulez, Gary Bertini, Leonard Bernstein, James Conlon and other well-known conductors. Lorin Maazel invited him both as coach and as soloist to the prestigious Red Sea International Music Festival in Israel. His discography includes the majority of the masterpieces for his instrument. For Harmonia Mundi France, the Walter Boeykens Ensemble has recorded all the relevant compositions of the clarinet chamber music repertoire. Walter Boeykens holds a number of important educational posts, at the Royal Conservatory of Music in Antwerp (where he founded the Walter Boeykens Clarinet Choir), the Conservatory of Rotterdam, the Académie d'Été in Nice, the Cité de la Musique in Paris, the Scuola di Alto Perfezionamente Musicale in Turin and the Showa Music Academy in Japan. Walter Boeykens was equally a guest conductor for the Royal Philharmonic Orchestra of Flanders and the Brabants Orkest in the Netherlands. His concerts with the Orchestra Filarmonica di Torino were highly acclaimed in the Italian press. 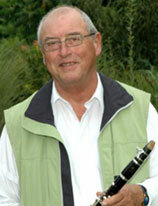 As an editor, Walter Boeykens has been associated with De Haske Publications since 1992, giving his name to a unique collection of publications for clarinet. In December 2001, he was the laureate of the first Klara Career Price as a tribute to his complete career as a musician, coach and conductor.